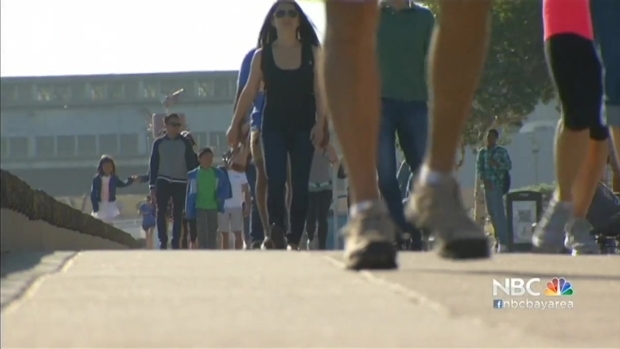 The supervisor used information from NBC Bay Area's Investigative Unit to bolster his proposal. The San Francisco Board of Supervisors Public Safety Committee considered a proposal Thursday that would beef up a law addressing the troubling trend of guns being stolen from police officers and regular citizens left in parked cars. The ordinance proposal was written by Supervisor David Campos, who first introduced the idea in September, two months after the nationally publicized death of Kate Steinle, a young woman killed on a San Francisco pier with a stolen law enforcement gun. Steinle died when a bullet ricocheted off the pavement and struck her, fatally wounding her while she walked with her father on a tour of the city. Campos said it was the first ordinance of its kind to be considered in California, according to the Law Center to Prevent Gun Violence. No one has expressed any opposition to his idea, his office said. Campos also used gun theft data used in an NBC Bay Area investigation this week to prove his point. The investigation found that 500 weapons have gone missing from eight Bay Area law enforcement agencies since 2010. An NBC Bay Area investigation uncovered hundreds of guns missing from Bay Area law enforcement agencies, stolen from officers’ homes or vehicles, or simply unaccounted for. The BLM, the agency responsible for the gun that killed Steinle, did not respond to NBC Bay Area’s open records requests submitted in July, shortly after the shooting, and the question of how many firearms that federal agency can’t account for remains open. Stephen Stock reports in a video that first aired on Nov. 16, 2015. In September, Campos originally introduced legislation requiring off-duty local law enforcement officers to secure their guns in lock boxes or locked trunks when they park their cars. The policy was already in place for on-duty officers. Campos' new amendment would broaden the rule to any person who has a gun in a car in San Francisco. Anyone who leaves a gun in a parked car would have to place it in a lock box or locked in the trunk. Failing to do so would be a misdemeanor punishable by up to six months in jail or a $10,000 fine. 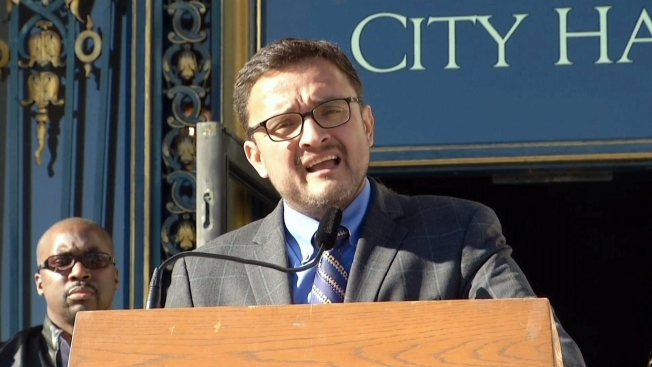 Campos even credited an NBC Bay Area investigation that revealed hundreds of guns have been stolen or lost from Bay Area law enforcement agencies in the past five years. One of those guns was stolen in June from a Bureau of Land Management agent who left the gun in his car stored in a backpack, and was used to kill Steinle in July. In August, officers from the UC Berkeley and Hayward police departments also had unsecured guns stolen. Nationwide, the NBC Bay Area Investigative Unit discovered that one million firearms were stolen in the last decade alone. "Each stolen gun is capable of unleashing unspeakable suffering and pain in our communities,” Campos said at a news conference Thursday. "Securely locking up dangerous weapons is simply common sense." Police Chief Greg Suhr backs Campos’ legislation. Last month, he issued a bulletin to his department spelling out in detail how all officers must secure their firearms safely, including if officers have to leave their car for a short amount of time. "Under no circumstances," Suhr wrote, "shall any firearm be left unattended in a vehicle overnight." Nearly three months after the deadly shooting on Pier 14, a bench was installed Saturday in honor of Kate Steinle. Raj Mathai reports. Campos aide Hillary Ronen told NBC Bay Area the committee will discuss the proposed legislation again on Dec. 3 and it should go to the Board for a vote on Dec. 15. Ronen said in an email they expect the proposal to pass unanimously.